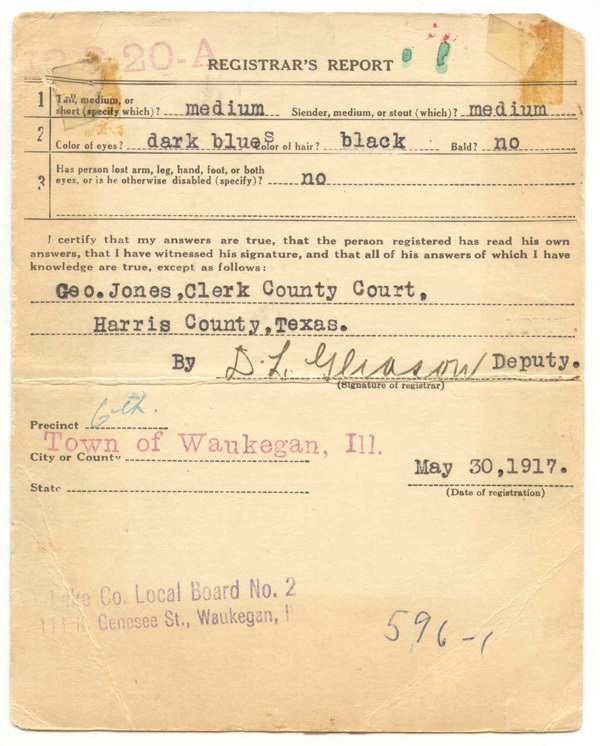 Of course, if you had male ancestors born between 1872 and 1899, you have checked if they had completed a US Draft Registration form during World War One (US – 1917-1919). 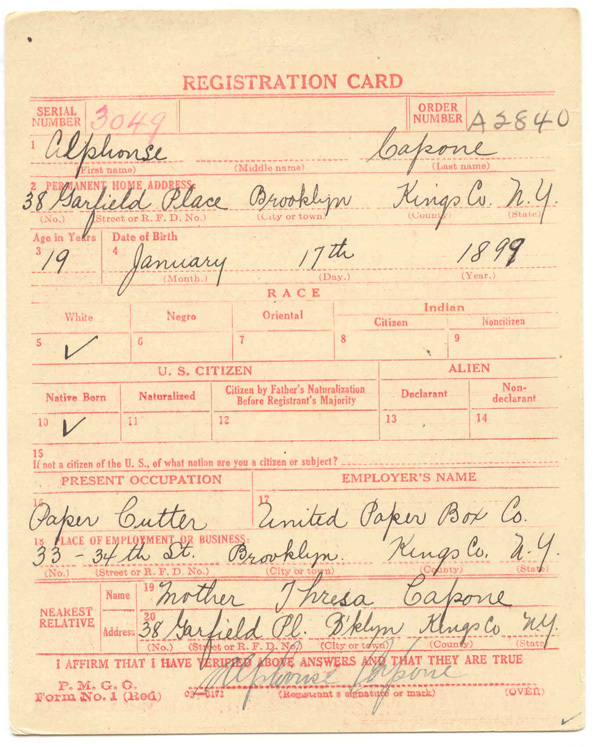 Remember all males in that age range, whether native born, naturalized, or alien had to complete the card. 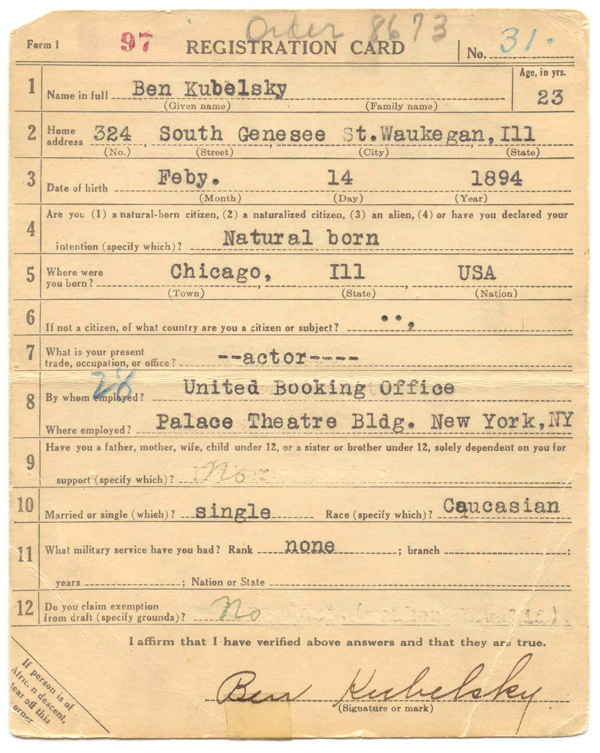 It is an excellent source of information on that person – birth date, place of birth, employment, where they lived, full name and their signature. 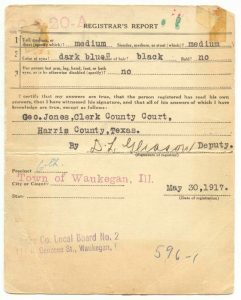 To demonstrate how all males in the age range had to complete their forms, even criminals in prisons completed the draft registrations. 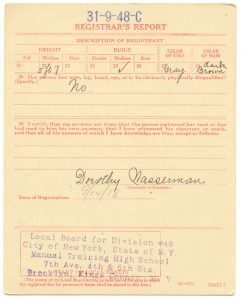 What is a neat idea is to view those notable names of the times or those who would become famous in the later years and see what was written on the draft registration? The National Archives out of Atlanta, GA has done just that. 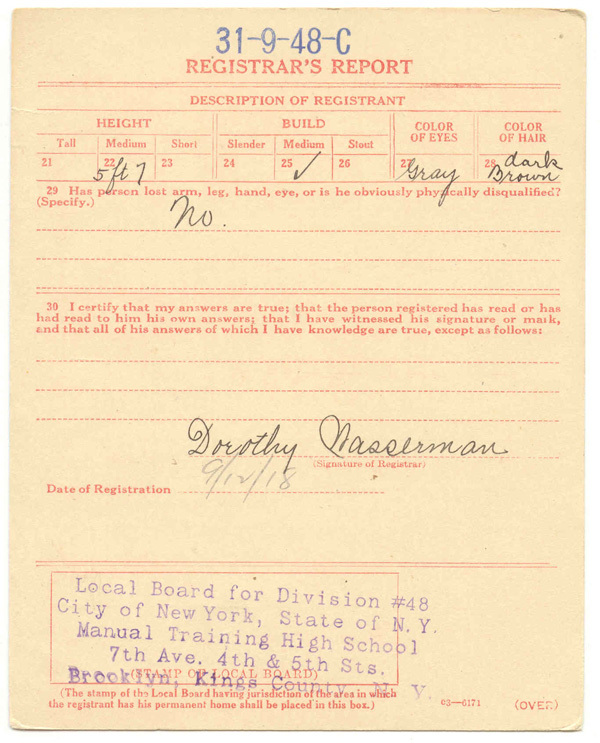 One their site, Notable Registrants, is a listing of names, and the draft board location. 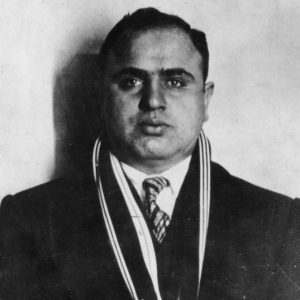 Some examples – Al Capone (famous gangster of the 1920s and 1930s), he registered at age 19 in Brooklyn, New York. 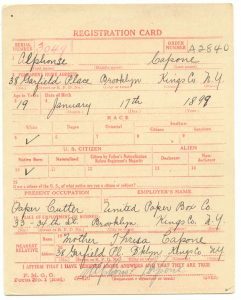 His occupation was a paper cutter in a box company. 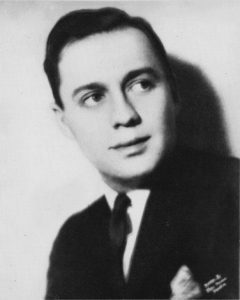 Then there is Jack Benny, born February 14th, single, age 23 and working as an actor with the United Booking Office of NYC. Jack Benny is a good example where the person’s name could be different than his public name. 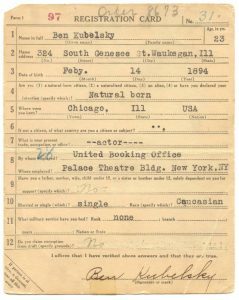 Jack was really Ben Kubelsky. So besides investigating all your own relatives born between 1872 and 1899, it can be fun to check out the notable and soon to be famous people.